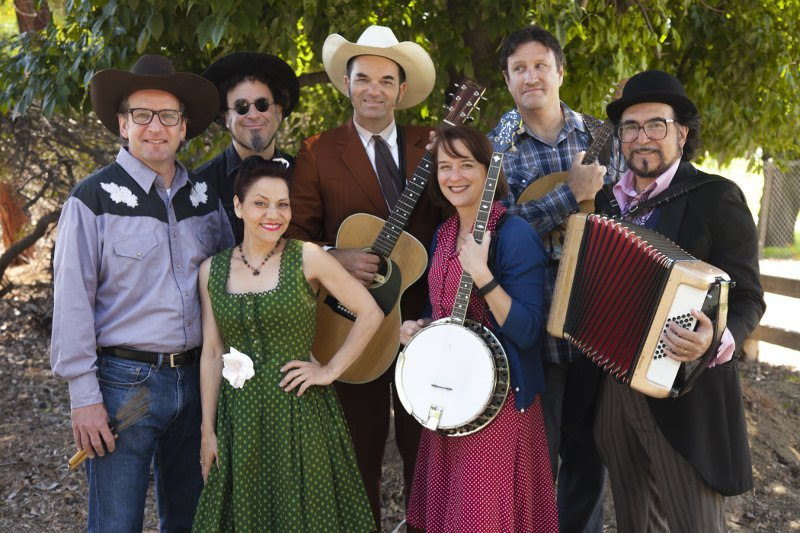 Acclaimed for their high-energy, acoustic Americana music played with passion, skill, and humor, the Los Angeles-based band The Hollow Trees is set to launch their fourth album of upbeat, top-tapping folk music for families, Hello Friend! This was released on July 1st. An album high spot is the jazz novelty song “I Can’t Dance (I’ve Got Ants in My Pants),” which can be previewed HERE. Also noteworthy is “My Dog Has Fleas,” whose lyrics and music fit The Hollow Trees like a glove and will bring a smile to those caught up in the current ukulele craze. The Hollow Trees are: Gregory Hollow Tree (a.k.a. Greg McIlvaine, guitar, vocals, kazoo), Traci Hollow Tree (a.k.a.Traci Green, vocals, jug), David Green (drums), Adam Levy (bass, vocals), Mike Flanagan (mandolin, bouzouki, vocals),Katie Cavera (plectrum banjo, ukulele, vocals), Phil Parlapiano (accordion, vocals), Leah Ashton, Tia Simone, Nina Kasuya (vocals), and Matt Witler (mandolin, guitar). Previous albums by The Hollow Trees include Wacky’s Tackle (2010), Welcome to Nelsonville (2008), and The Hollow Trees (2005). Hello Friend! will be available at iTunes, Amazon, CDBaby, The Green Bean in L.A.’s Eagle Rock neighborhood, Grow Kid Grow in L.A.’s Silver Lake neighborhood, and at all Hollow Trees shows. Check out The Hollow Trees’ website HERE.